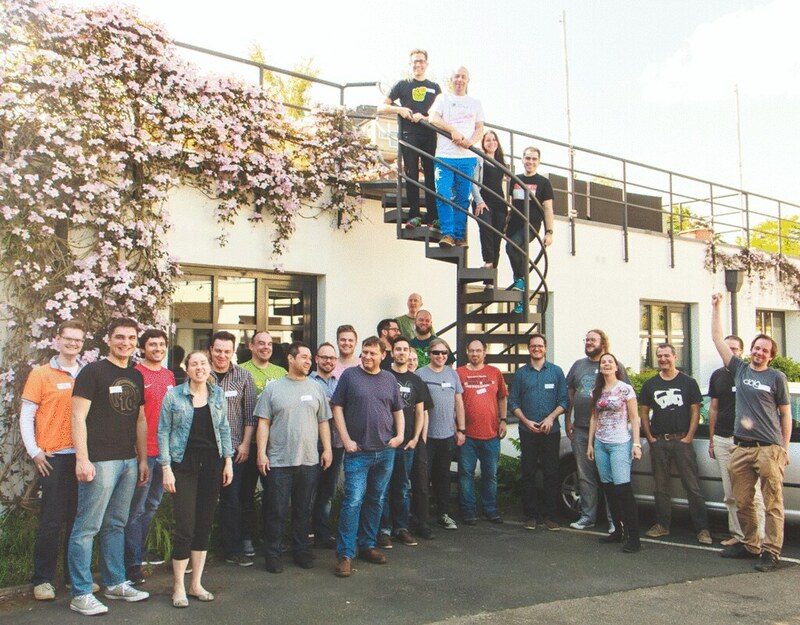 Indie Web Camp Düsseldorf took place last weekend and it was—no surprise—really excellent. It felt really good to have one in Germany again so soon after the last one in Nuremberg. Lots of familiar faces showed up as well as plenty of newcomers. I’m blown away by how much gets done in two short days, especially from people who start the weekend without a personal website and end it with something to call their own. Like Julie’s new site for example (and once again she took loads of great photos). My own bit of hacking was quite different to what I got up to in Nuremberg. At that event, I was concentrating on the interface, adding sparklines and a bio to my home page. This time round I concentrated more on the plumbing. I finally updated some the code that handles webmentions. I first got it working a few year’s back at an Indie Web Camp here in Brighton, but I hadn’t really updated the code in a while. I’m much happier with the way it’s working now. I also updated the way I’m syndicating my notes to Twitter, specifically how I send photos. Previously I was using the API method /statuses/updatewithmedia. That’s why I spent most of my time at Indie Web Camp Düsseldorf updating my PHP. Switching over to the TwitterOAuth library made it a bit less painful—thanks to Bea for helping me out there. When it came time to demo, I didn’t have much to show. On the surface, my site looked no different. But I feel pretty good about finally getting around to changing the wiring under the hood. Besides, there were plenty of other great demos. There was even some more sparklining. Check out this fantastic visualisation of the Indie Web Camp IRC logs made by Kevin …who wasn’t even in Düsseldorf; he participated remotely. If you get the chance to attend an Indie Web Camp I highly, highly recommend it. In the meantime you can start working on your personal site. Here’s a quick primer I wrote a while back on indie web building blocks. Have fun!